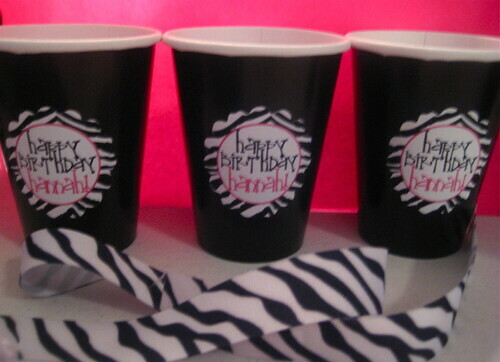 Here is a cute little Zebra print party I did a couple of weeks ago. So fun! This was for a friend of mine's daughter Hannah turing 7! It was pouring down rain, but this was suppose to also be a swim party. This banner above was to go outside under the cabana. Notice the zebra sunglasses! Oh well! 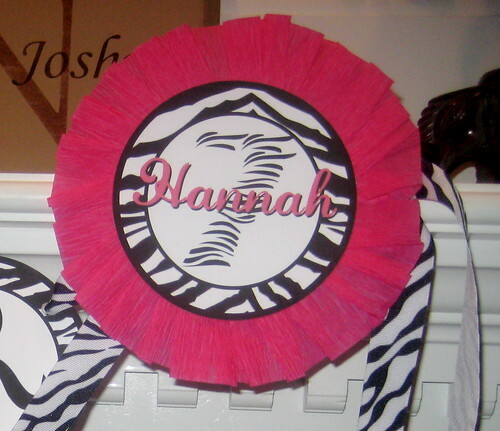 I did this party in a week so somethings aren't perfect... like Hobby Lobby being out of zebra tissue ALL WEEK LONG, so I looked everywhere. 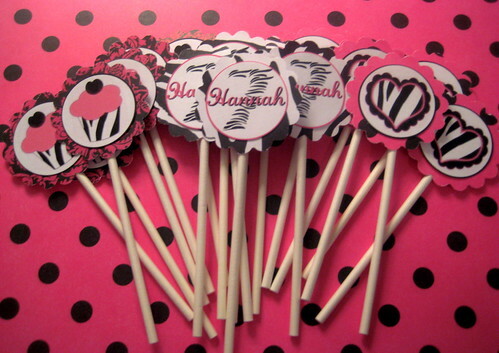 I just had to do black and white polka dot! 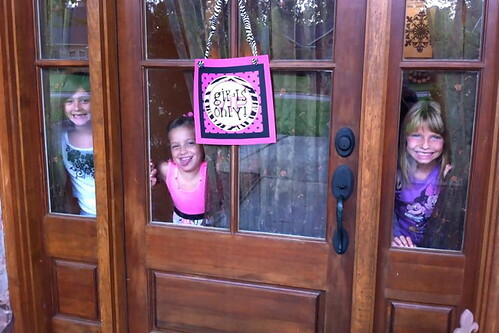 My GIRLS ONLY front door sign was a hit. She has 3 brothers that were sent away for the weekend! Look how cute their matching pjs are from Justice. 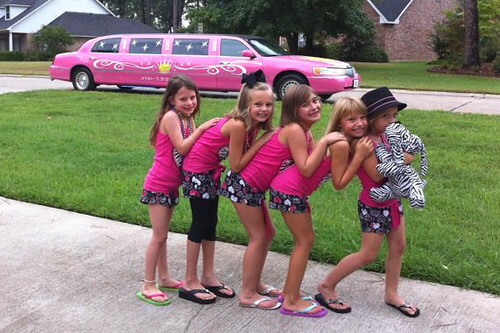 and of course all little girls need a pink princess limo to come pick them up to go to McDonalds drive trough! Love it!!! 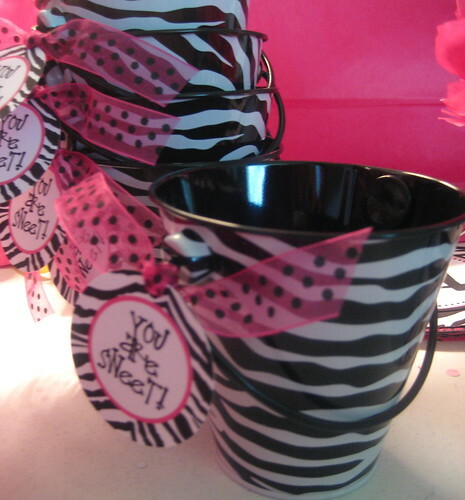 Also, HERE is a previous post I did for a Zebra Inspiration Board with shopping tips and links to other Zebra print parties. WAIT! 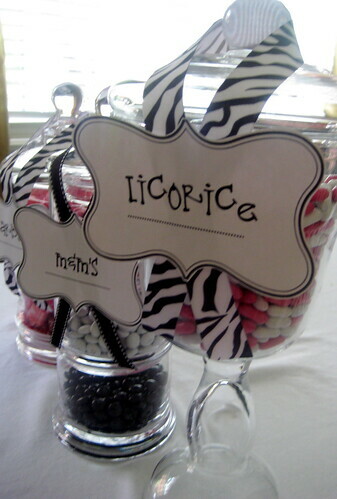 There is even more ZEBRA! HERE including Minnie Mouse and A Pin the Lips on Justin Bieber! 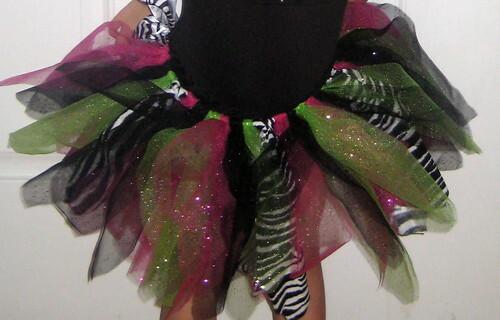 Here is a "zebra" tutu I made for my daughter's 1st day of dance, now I've sold 3 more. bummer that the swim party got rained out. Everything turned out great though. 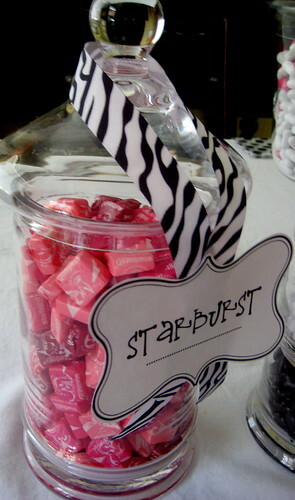 This is soo cute! Love it ALL! 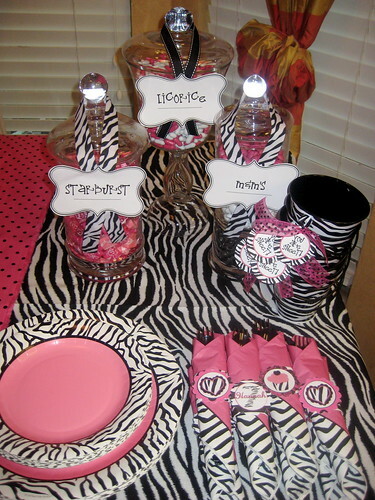 Where did you find the Zebra/pink plates? I am doing a Zebra Print/Pink Rock Star party for my daughter and I can't find them anywhere. Thanks! 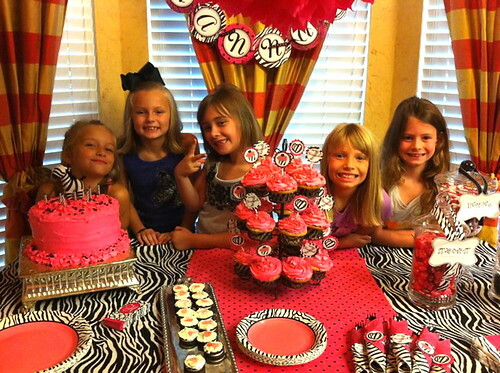 I really like how you did the pink and zebra theme for her party. 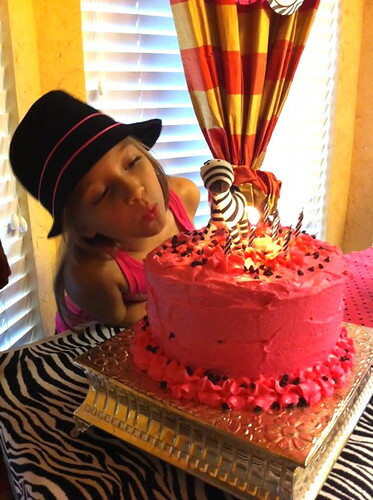 My daughter is turning 13 in October n wants to have a party bus and a sleepover. 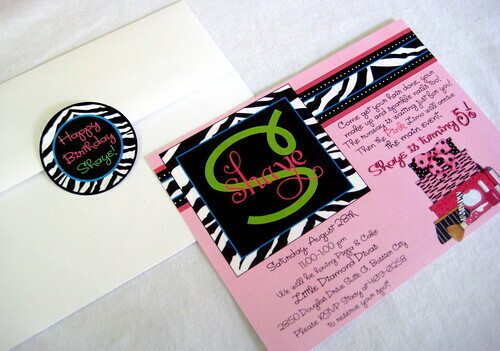 She really likes the zebra theme and I think it would be really pretty with orange. Did i mention, her birthday is on Halloween. Could you please design a theme just like the one above. 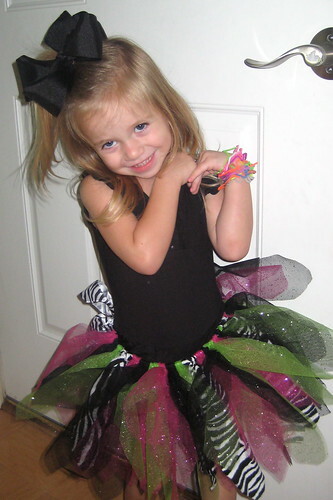 And the tutu is also a pretty idea to include. 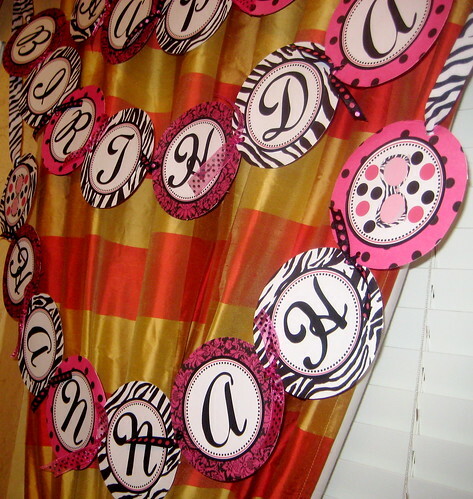 Anonymous......my daughter was also born on Halloween & I am trying to find ideas using Zebra print and orange. I've found a few but still stumped. 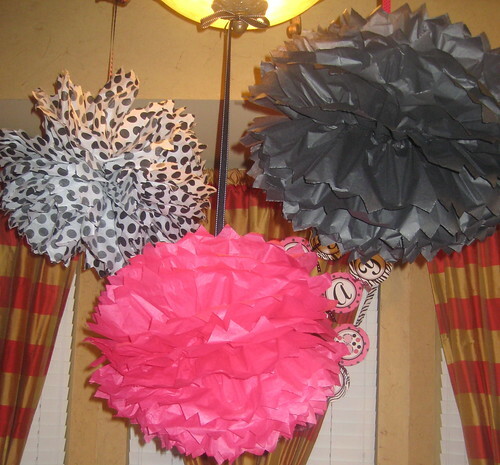 This is exactly what my daughter has requester for her upcoming 7th birthday and first slumber party. 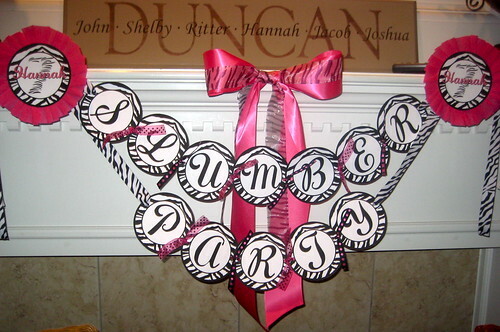 Do you create things to ship such as the banners, decorations, favors, etc.? 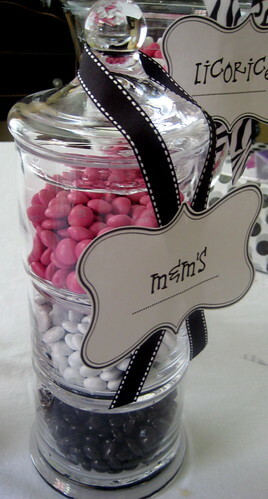 I love the jar with the 3 different color m&ms but how do you get them out? Do you just lift each one? 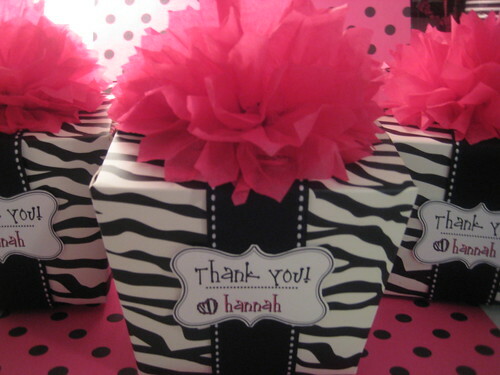 Can you tell me where you got the zebra print favour boxes from? I love them : ). Very nice post about printing , thanks for sharing the information. Keep up the good work. 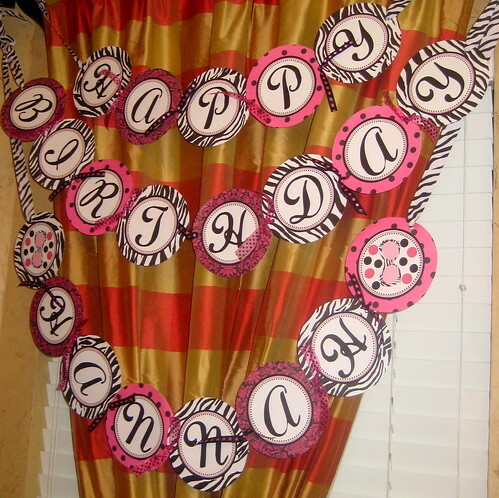 These are such an exquisite party decorations with amazing unique ideas. Will definitely book one of the high rated event space Atlanta for my painting exhibition next month. Confused to have a tea party or luncheon. Will invite all our favorable clients. Painting descriptions will be managed by my best friend. 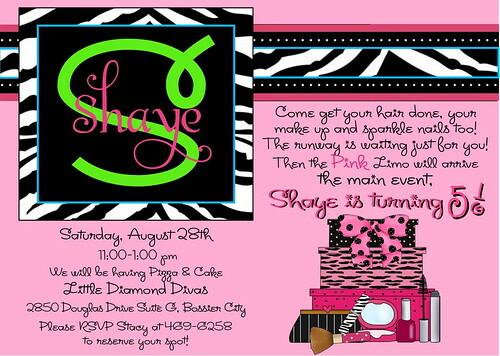 Hoping for a successful event.